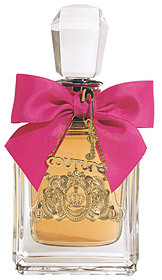 Rounding out the Juicy Couture fragrance for women family is Viva la Juicy. By far, their most popular fragrance. So popular, in fact, that I smell this everywhere I go. On everybody. People love their Juicy, I guess. In Bottle: Reminds me a lot of other fruity floral fragrances but I have to keep in mind that Viva la Juicy is the fruity floral that everyone wears. Funny enough the sugary sweet notes that are supposed to be at the bottom are also mingling at the top making Viva la Juicy smell like a fruit-flavored candy. Applied: Okay, you can laugh me out of the ballpark, I like Viva la Juicy. I think it smells great. It’s a better treatment of a sweet fragrance than Couture Couture. Going on, it smells of creamy fruits and vanilla. Very reminiscent of sweet fruity florals everywhere, like I said. It’s got a strong resemblance to Love Etc. by The Body Shop, only done with more sugar and less tartness. As you let this age on you, the fruits go away and there’s a faint hint of flowers in the mid-stage that’s mixed with all the silly candy-like notes like caramel, vanilla and praline. 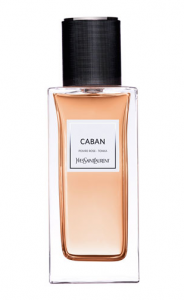 The dessert factor only amps up as you keep wearing this as the florals in the middle give way to a lush full-on dessert course that smells mostly like soft vanilla tempered with a touch of sandalwood and gooey caramel. The caramel note in Viva la Juicy is actually used well as it isn’t cloying. This is a strong, sweet, fragrance and if you are afraid of cloying scents, be wary of Viva la Juicy as it is potently sweet and very young. Extra: Juicy Couture has one well-known fragrance for men known as Dirty English. 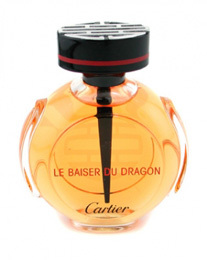 It is a scent that’s often been toted as being better than the series of women’s fragrances. I’ve had more than one opportunity to sniff it for myself but always manage to miss for some reason. There is also a fragrance for your dog called Juicy Crittoure which I have yet to see. Design: Viva la Juicy is bottled in the same way as Juicy Couture. The accents and details are different with Viva la Juicy rocking a bright pink bow and a different seal. The bow can be taken off and used as a hair tie, whereas Juicy Couture’s wrap-around rope thing could be worn as a necklace. I don’t use either of these things but it’s pretty cute nonetheless. Notes: Wild berries, mandarin, honeysuckle, gardenia, jasmine, amber, caramel, vanilla, sandalwood, praline. Out of all the Juicy Couture fragrances I’m going to have to give it to Viva la Juicy. It’s a very good fruity floral. Good enough to smell it on everyone anyway. Reviewed in This Post: Viva la Juicy, 2009, Eau de Parfum. Pink Sugar is as simple as its name. It’s a sweet fragrance made for younger perfume consumers that’s not ashamed of admitting that it’s just a candy-like confection for people who like to smell sweet. And that’s about it. I can respect that. In Bottle: Sugar, caramel, and strawberry. Very reminiscent of Miss Dior Cherie but much more tolerable due to the lack of patchouli and the toning down of the strawberry note. This smells like the pink cotton candy you buy at carnivals and little strawberry hard candies. Applied: Dominating the opener is the cotton candy and strawberry hard candies. If Pink Sugar were a food–it’d be aptly named. As the scent ages, it stays the same but for a caramel note coming up. The caramel note has been toasted a bit too much, smelling burnt. I have a suspicion there’s really only one caramel note shared between this fragrance, Miss Dior Cherie and Flowerbomb and it’s Burnt Caramel #2990. A pox on you, Burnt Caramel #2990! I’m convinced that due to this mysterious caramel note that these three fragrances are related in some smelly conspiracy. But they aren’t the same, Pink Sugar lacks the extreme sweetness and harshness of the patchouli and strawberry. The burnt caramel in Pink Sugar is more muted than in Flowerbomb. Pink Sugar has a not bad licorice note that makes brief appearances in the mid-stage. When Pink Sugar dries down, it’s a bit of vanilla and slap of clean woodsiness and then it’s gone. Extra: Pink Sugar is consistently one of the most popular and well-loved fragrances among its target audience. If you were ever wondering what young people like these days, Pink Sugar is probably a good guess. Design: Pink Sugar is bottled in a tall glass cylinder with pink crisscrossing lines on the glass. The presentation itself makes me think of cake. The lettering is playful, a bit messy for my tastes, but I’m not the target audience for the fragrance or–I assume–the design of the bottle. From a choice of Miss Dior Cherie, Pink Sugar, or Flowerbomb, I will have to give props to Pink Sugar. It’s the most wearable, the least cloying and at least it’s upfront about what it is. Reviewed in This Post: Pink Sugar, 2008, Eau de Parfum. 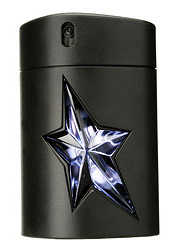 Angel is one of the most widely imitated fragrances. 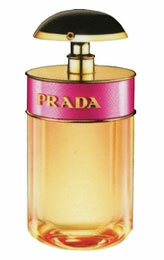 It’s introduction in 1992 changed the fragrance world. It became incredibly popular and still remains popular as people still rock this scent up and down high school hallways, fashionable city streets, and unfortunately for the rest of us , on the elevator. 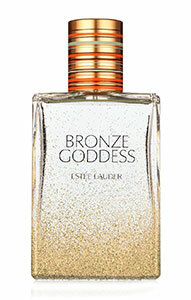 In Bottle: Beware of your first smell of Angel as your first impression will likely be something to the tune of, “Oh God! What is that horrible smell? Get it out of my nose! Aaaah!” Your second smell will yield an intriguing, jarring mix of bitter, spicy patchouli blended with rich, warm chocolate and some fruit. Applied: Angel starts off with a typical citrus burst that disappears to lead you in on a roller coaster ride of gourmand thrill. The patchouli wastes no time on me to get straight to the point. It comes out of the gates, announces itself and drags the rest of the fragrance in. What I get is a mish-mash of sugary fruit. The chocolate is quick to come up with its creamy, warmth. The candy-like sweetness of the caramel mixed with vanilla is always present in Angel. Like a syrup cloud hovering over an outdoor chocolate fashion show. What? Too weird? How about the idea of dipping your chocolate bar in caramel and vanilla extract and then dropping it on the lawn? The dry down doesn’t come in until hours later when you’ve had just about all you can of the chocolate and sweetness. Where upon drying down you get more chocolate, sugar and patchouli. Hope you liked the ride. Extra: Angel is strong. Mercilessly strong that its introduction in the 1990s could have been pushed up a few years into the Powerhouse Era and people would still say it’s strong. Go easy on this one, folks. You will be smelled from a mile away. And if you do happen to put too much on, avoid crowded elevators. Design: Angel comes in a variety of bottles, concentrations, flankers and other products. The most iconic and instantly recognizable is the slanted star bottle design shown above. If you don’t like that one, there are many more. Most Angel bottles have the added bonus of being refillable too. Notes: Bergamot, patchouli, chocolate, vanilla, caramel, red berries. I wrestled with whether or not this fragrance could be considered a classic. Considering its iconic rise to fame and its still firm grip on popularity, I decided to just hand the label over. Not to mention the fact that it’s so instantly recognizable to so many people. 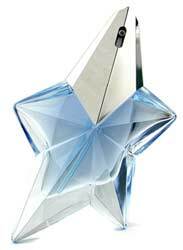 Reviewed in This Post: Angel, 2008, Eau de Parfum.